Helmet, seat height adjustment, fit-a-flat kit, pump, plus maps and cable lock upon request. 7th consecutive rental day is FREE – pay for 6 days, get the bike for a week! A rental day is defined as 9-6 Monday-Friday and 9-5 Saturdays. Bikes returned the following morning will be charged an extra day. If available, bikes may be picked up the day before your rental Mon-Fri 5-6pm & Sat 4-5pm. Call to confirm. 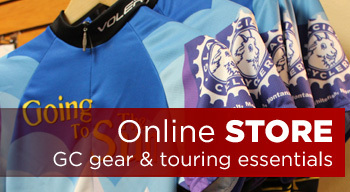 Glacier Cyclery is cycling headquarters! If you want to pedal a bike during your visit, you’ve come to the right shop! Whether cruising around town to see the sights, climbing Going to the Sun Road or shreddin’ the local trails, we’ve got the bike for you. 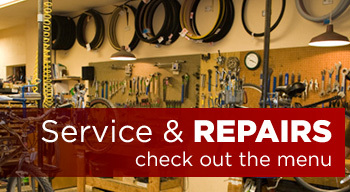 After 37 years in business, we know the routes and rides inside and out and are always happy to help you plan your cycling adventure. No need to drive, ride from here! We are the closest shop to the main trailhead of the Whitefish Trail (just 2 miles away) and just 2 blocks off the main bike path system in downtown. RESERVE NOW or give us a call at 406.862.6446. 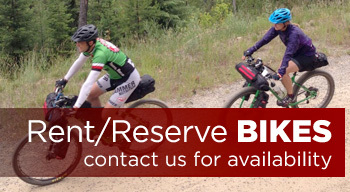 New this year: Glacier Cyclery is a shuttle stop for WhitefishShuttle.com . After reserving your bikes with Glacier Cyclery, visit their site to arrange transportation to your favorite trailhead or to Glacier National Park for road riding. NOTES: Glacier Cyclery bikes are not for use at Downhill Lift-Served Bike Parks! Reservations are 100% refundable if cancelled at least 48 hours prior to scheduled pick up date. 27.5” wheels, 100mm travel, 3×9 drivetrain – a Blast to ride! 27.5” wheels, 100mm travel, 1×11 drivetrain – for the smaller riders who want to ride trails! Carbon road bike with carbon fork and seatpost, hydraulic disc brakes – the ultimate endurance ride. Sizes: M, M/L, L, XL. Women-specific carbon road bike with carbon fork and seatpost, hydraulic disc brakes – the ultimate endurance ride. Kona’s newest dropbar adventure bike will take you where you want to go. This multi-surface multipurpose bike is the perfect touring or long gravel ride companion. The Rove NRB is equipped with a rear rack and two water bottle cages. With a carbon fork and 2×10 drivetrain, it’s a smooth ride that loves a trip up Going-To-The-Sun road in Glacier National Park or a multi-day tour of Northwestern Montana or beyond. Comfortable, efficient, fun-to-ride bikes great for cruising the bike paths in Whitefish and Kalispell, or taking in the views on the paths and roads of Glacier National Park. Pedal assist bikes by Giant that will help you travel further with a little less effort. You still have to pedal but with 3 power modes, you can get a little assistance in getting up some of the steep roads around the Flathead Valley. Never ridden one? It’s just like riding a bike! In fact, it is riding a bike. Note: the Medium is a step-thru frame that will fit smaller riders easily.